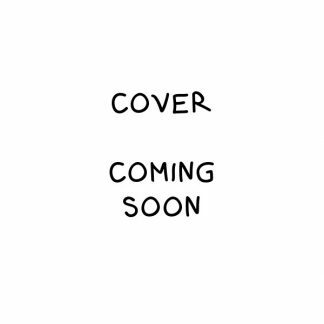 View cart “The Baker Family Series – Book 1 & 2” has been added to your cart. Awarded a Red Ribbon Award in the 2017 Wishing Shelf Awards competition and was also a finalist in the 2017 People’s Book Prize. 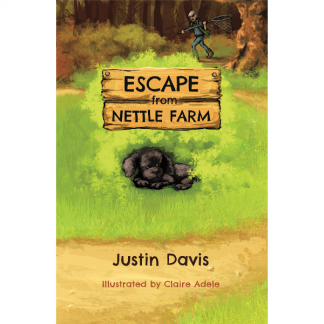 Escape from Nettle Farm, a children’s novel, tells the story about Harvey, a Newfoundland puppy. He’s the smallest pup, with big ears and big feet, who’s bullied by the rest of the litter. His owner, a grumpy farmer, is mean and dishonest and breeds the pups as a profitable sideline to support his hobby of restoring farm machinery. When all of the other puppies are homed, Harvey is told that he’s to be sent to a working farm with a cruel owner, in exchange for an old tractor. Terrified of what lies in store, he escapes… and is found by Millie Baker and her Dad at the allotments. 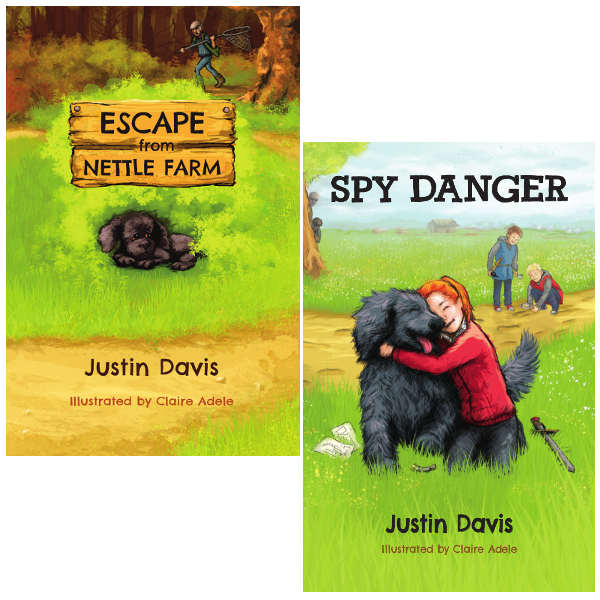 Falling in love with Harvey, Millie enters him into a puppy competition – little does she know that the grumpy farmer is going to be there and will try and steal Harvey from his loving new owners. Is Harvey safe with the Bakers? Will he overcome the kidnapping attempt? Can he win the competition? 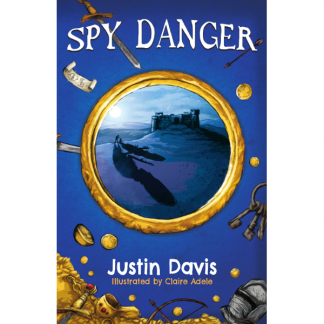 Spy Danger, the second book in the Baker Family Series. The Baker children can’t believe their luck when they find out they are staying at a castle for the weekend. But when they uncover a plot to steal forgotten treasures, Millie, Jamie, Zach and their dog Harvey know they have to act. Are they smart enough to outwit the thieves? Can they decode the clues in time? Or has their spying put them in too much danger? Own the first two books in The Baker Family Series. Piggy McTavish and Smiggle McBiggle	 The Snark!